Ancient Sacred Symbols and Talismans are extremely powerful. 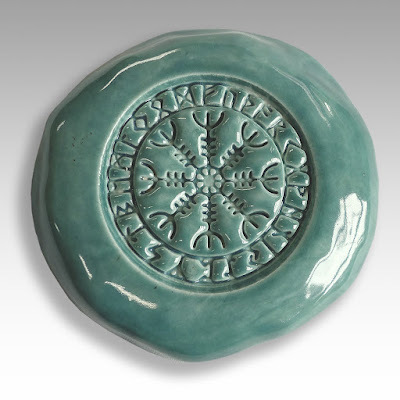 With a single glance a Talisman can transform your consciousness and improve your wellbeing. All the Talismans on my website, The Study of Man, were created to have a positive influence in your life. They will improve your health, increase your wealth and happiness. The Study of Man website is my Anthropology site. I create a lot of original artwork for this site. My favorite are the hand made Talismans. I have a kiln in my studio and I create them from earthenware by hand, one at a time. I think you will really enjoy seeing them. Each Talisman is created by hand, one at a time by me. Here's how. This is an example of an Icelandic Magical Stave. The common name for it is The Helm of Awe. It is to protect you from evil and injustice. This is the most popular Icelandic symbol around the world. Here is an example of a Bindrune. A Bindrune is a Talisman made from the ancient Norse alphabet called the Elder Futhark. There are 24 letters in the Elder Futhark, each one has special meaning. 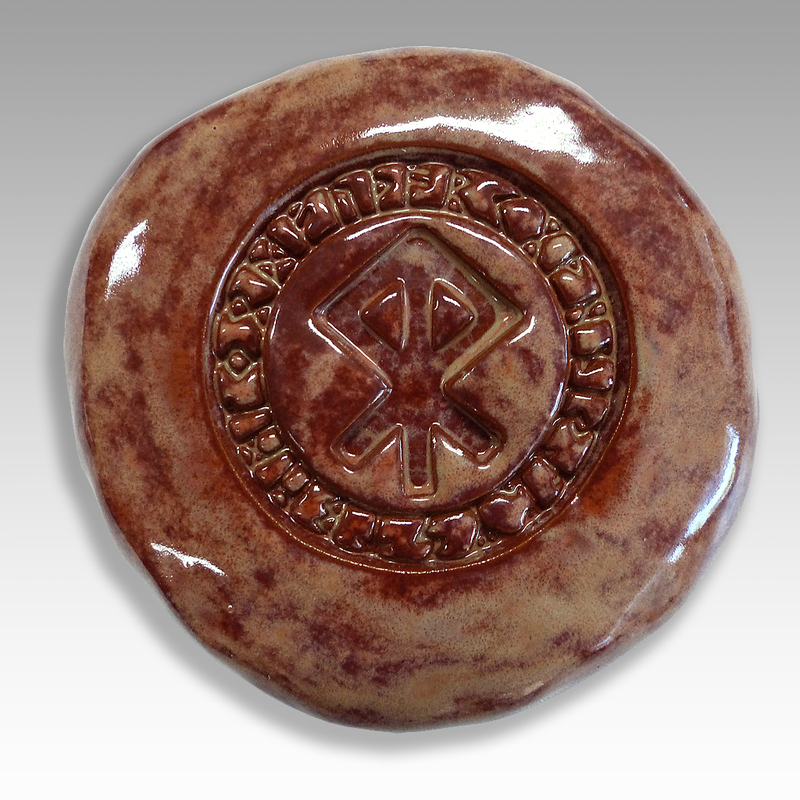 This Bindrune is to create a happy home and is the combination of two runes. There is a mountain of scientific evidence proving the power of visualization and the power of your mind to effectively make changes with your body and life. The ancients knew this intuitively. Tribal elders, religious leaders and shamans have long employed the use of visual symbols to focus the mind into a conduit for guidance, protection, enrichment, healing and change. The power of a Talisman has traditionally been ascribed to whatever religion or mystical practice the religious leader or shaman was a disciple of. The difference between now and then is we now know where the real power comes from. Science has now caught up with what the ancients knew quite well, a Talisman provides a connection between you and universal consciousness. Please go to my Anthropology website The Study of Man and at the bottom of every page you can sign up to get a notice when a blog post is made.